In 1990, while installing a new printer on his wife's computer, the 33 y.o. 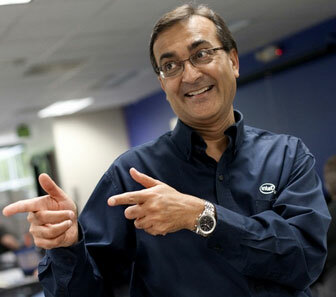 Ajay Bhatt, then a senior staff architect on the chipset architecture team of Intel, was confronted with a huge frustration: connecting new peripheral devices (such as printers, modems, joysticks and scanners), was a time-consuming headache. If this situation was frustrating for Bhatt, who worked at the forefront of computer development at the chip giant, we could only imagine how difficult it was for average users. In those ancient times, the poor computer users had to negotiate a maze of competing plug designs on the back of their computers, install new drivers and often open up the machine to add a new computer card. This was followed by a tedious process of trial and error, which required repeated rebooting of the computer system and fine-tuning until everything worked properly. Fortunately, Bhatt saw an opportunity to greatly simplify the process. He looked to the wall sockets for inspiration, seeking to imitate their simplicity. Getting there was anything but easy. Simplifying the digital Babylon that preceded USB involved convincing nearly every computer and gadget maker in the world to get on board with a single type of cable, creating a sort of universal language that lets all computer hardware connect. The first integrated circuits supporting USB were produced by Intel in 1995. The original USB 1.0 specification, which was introduced in January 1996 (USB standard evolved through several versions before its official release staring with USB 0.8, released in December 1994), defined data transfer rates of 1.5 Mbit/s (Low Speed) and 12 Mbit/s (Full Speed). Today, there are three basic kinds or sizes USB connectors and types of established connection: the older (standard) size, in its USB 1.1, 2.0, and 3.0 variants (for example, on USB flash drives), the mini size (such as on many cameras), and the micro size, in its USB 1.1, 2.0, and 3.0 variants (such as on most modern mobile phones).